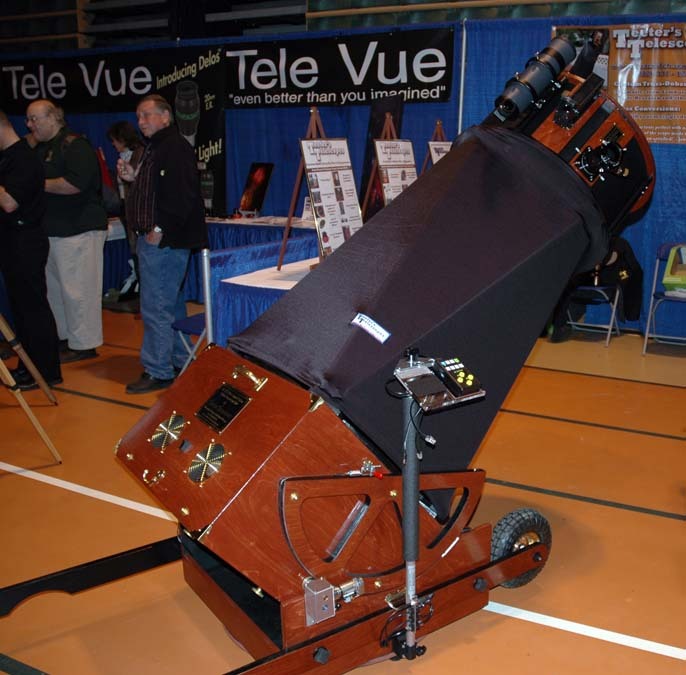 Teeter's Telescopes doesn't just make large telescopes. 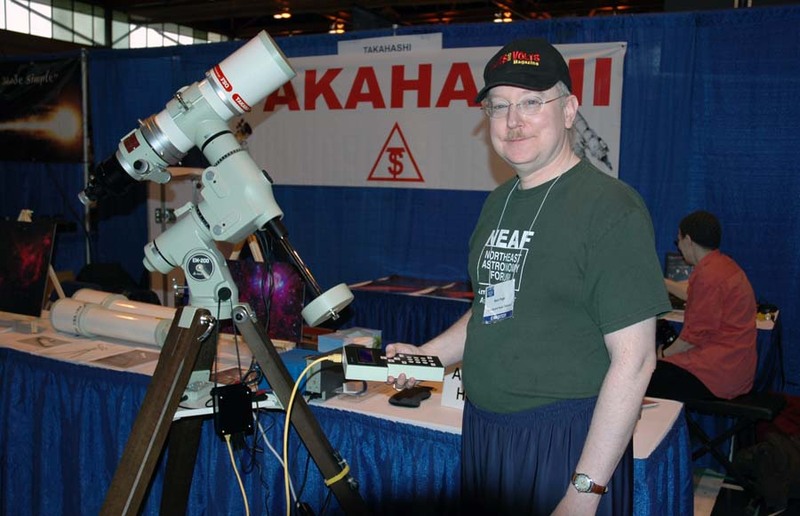 Here's an 8" scope. The rocker box is made from tiger maple and amazingly the wood is all from one tree. Here are a couple great refractors from Takahashi. 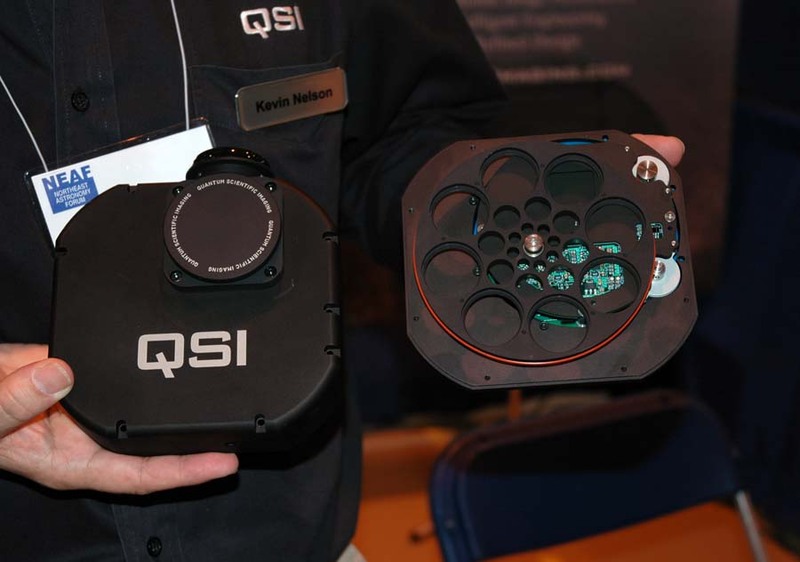 The foreground scope is a TOA-130 mounted on an EM-200. The background scope is an FRC-300 mounted on an NJP mount. 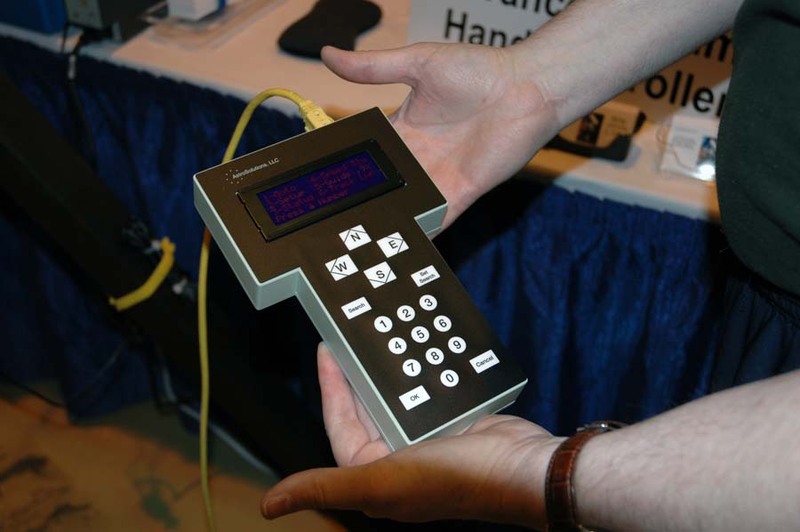 Speaking of Takahashi, the new Advanced Temma Hand Controller has been generating a huge amount of interest. Pictured below is Bruce Prager of AstroSolutions, LLC, the designer/developer of the hand controller, with his new "baby". By the way, they are hoping to start shipping in July. 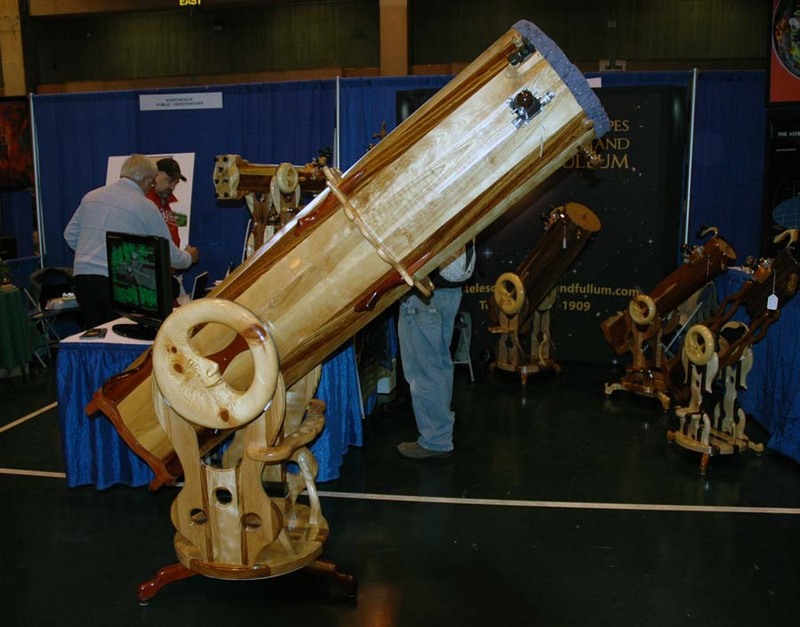 Everyone reading this post is probably familiar with the telescopes from big name vendors like Celestron and Meade but how often do get to see hand-crafted wooden telescopes like this one? 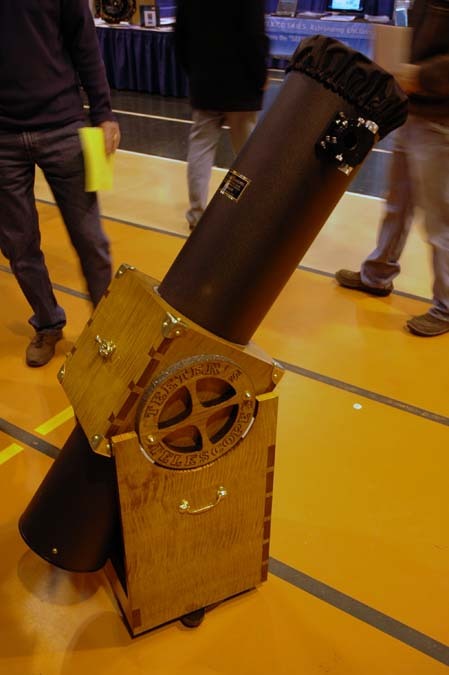 This is a 16" scope from Normand Fullum. 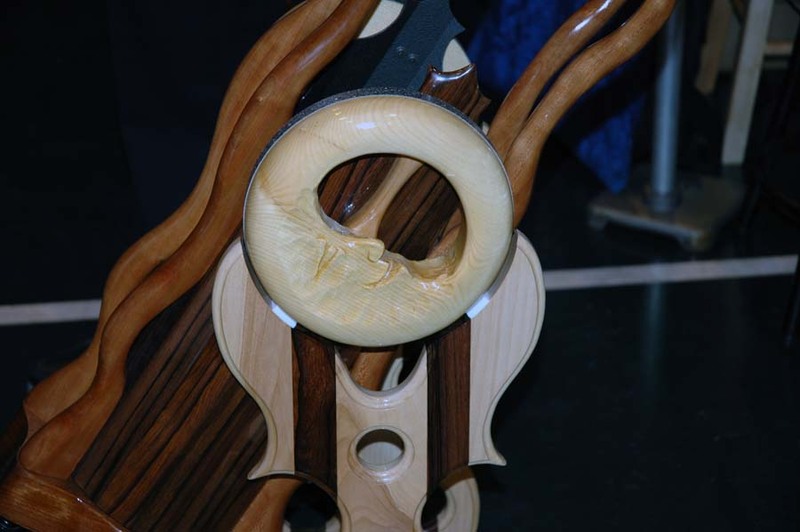 This scope is made primarily from Zebra wood and Yellow Birch. There's also a bit of jatoba wood, as well. 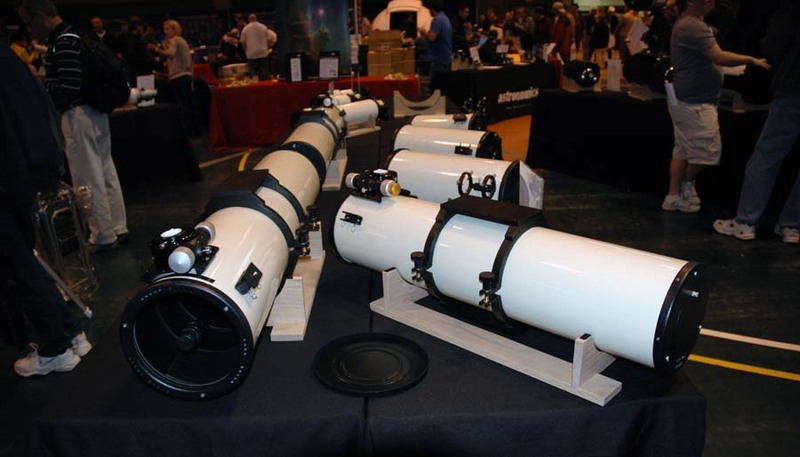 Normand Fullum makes telescopes in many sizes. Here's a closeup of the wood detail on a 6" scope. Amazingly beautiful, isn't it? 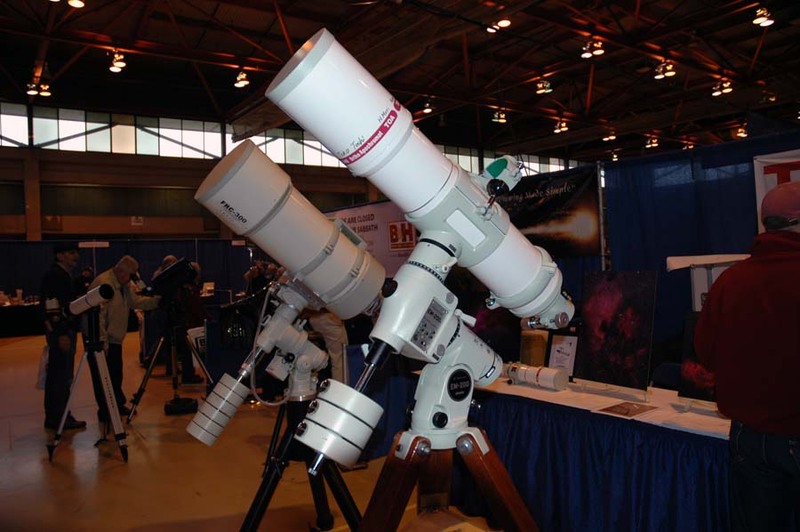 At NEAF, it's not all about telescopes, eyepieces and cameras. There's also software. 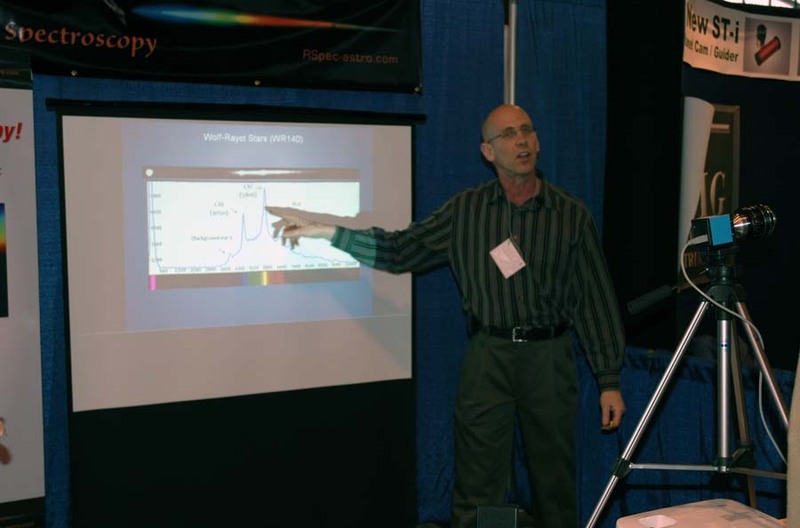 Here's a picture of Tom Field at the RSpec booth giving a talk about RSpec's capabilities. 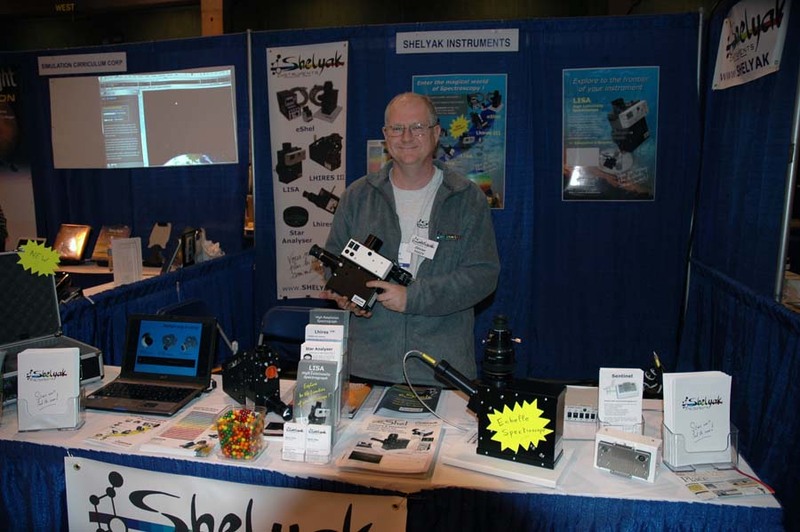 Speaking of Spectroscopy here's a picture of Olivier Thizy of Shelyak Instruments. Shelyak markets a whole line of spectrographs. The spectrograph in Olvier's hands is the new Lisa. Well, that's it for now. I need to go back to the exhibit hall and take more pictures. I'll post them as soon as I can! 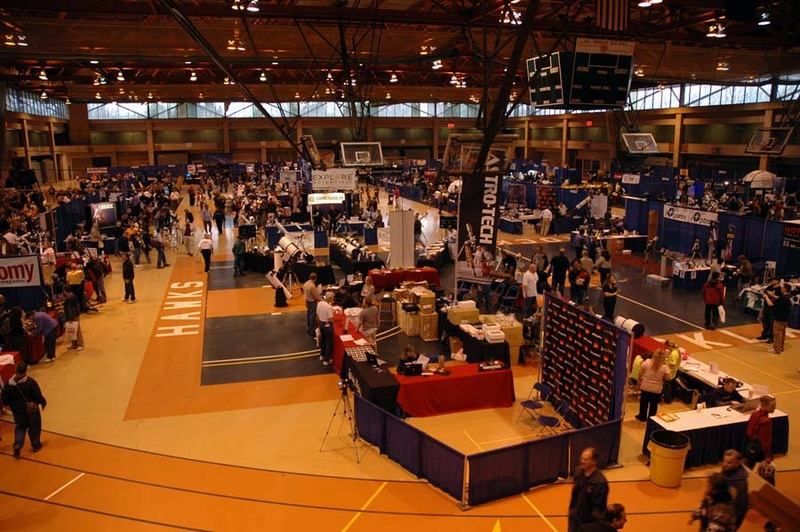 This entry was posted in Equipment, Events, NEAF. Bookmark the permalink.